Sharjah: Sharjah Commerce and Tourism Development Authority (SCTDA) organised an entertainment tour for old people in Sharjah to mark the International Day for Older Persons, celebrated on October 1 of every year. 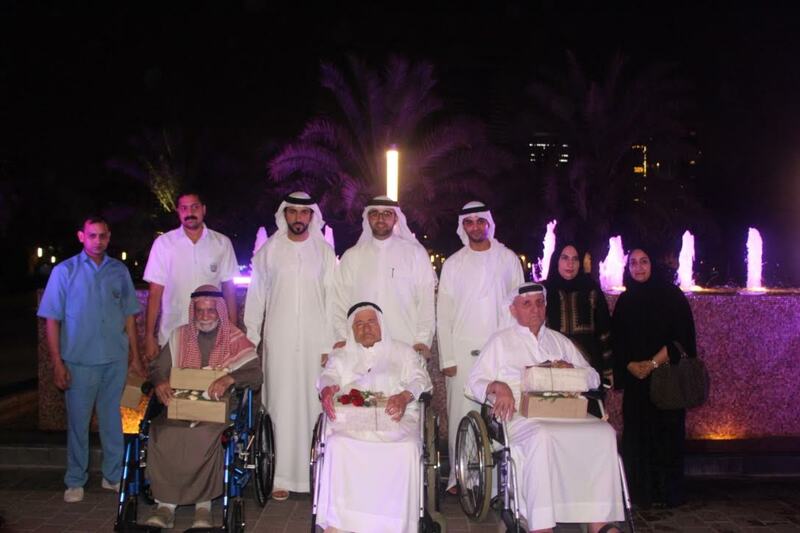 The tour was attended by His Excellency Khalid Jasim Al Midfa, Chairman of SCTDA, and aims to honour the elderly and recognise their efforts in serving their communities and their families, raising generations of righteous and talented children. Drawing in more than 20 Sharjah-based old people, the tour is one of many community events organised by the Authority throughout the year in order to communicate more with all segments of society, and convey its appreciation and respect for the contributions that the public makes in all fields. The event included a tour on Khalid Lagoon aboard traditional abras, followed by a dinner at Al Majaz Waterfront. Concluding the tour, H.E. Al Midfa handed out commemorative gifts to the participants. H.E. went on to assert that the Authority is keen to strengthen communication with government and private-sector entities that tend to all sectors of the society in Sharjah. The International Day for Older Persons was launched by the United Nations in 2002, and seeks to train staff to take better care of senior citizens, as well as to provide the necessary facilities to meet their needs. It is an occasion to remind NGOs and families of the necessity of caring for their loved ones, and to urge governments, families, and organisations to work together to provide a good environment for the health and welfare of the elderly.